Diagnoses relating to prostatic cancers have become increasingly precise and effective the last few years thanks to on one side the development of MRI and on the other a better efficiency in the bioptic measures, fusion biopsies and MRI biopsies. The ability of obtaining a precise mapping of the prostate allows among other things to planify the focal treatments of prostatic tumours. Contrarily to previous approaches, this one consists in treating the cancer lesion while avoiding the healthy tissue, diminishing as such the secondary effects which can occur sometimes after radical curative treatments of prostatic tumours (secondary effect at the érectile and functional levels). This technique is reserved for lowly to moderately-aggressive tumours which cannot be simply monitored and for which a radical treatment such as radical prostatectomy or radiotherapy would be exaggerated. 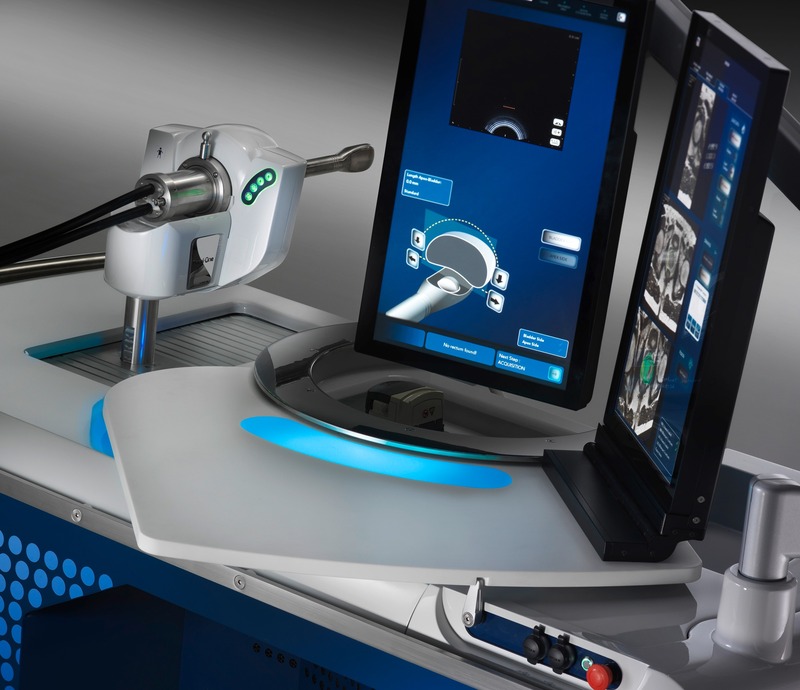 Besides the SIPC possessing and offering to our patients a highly performant imagery with a precise biopsy system, we always provide a thorough monitoring with clinical, bioptic and regular imagery controls. We possess in our group a rigorous follow-up protocol allowing us to detect any eventual recurrences and to treat them either with a new focal therapy or with a radical treatment in order to obtain in the medium to long-term a satisfying oncological result. We currently have available an ultrasound focalised treatment Focal One whose details are described below. It is a highly performant system allowing to treat in a focalised manner the prostatic tumours. We increase the precision of these treatments by using the possibility to integrate the results of the biopsies performed either by perineal or transrectal fashion performed with our different systems (Biopsee, Uronave, Koelis) directly into the Focal One system. we can thus obtain a precise mapping in the treatment system itself, allowing an increased precision. This focal approach is of course multidisciplinary and the interaction between the urologist and the radiologist is of utmost importance. The focal therapies are scheduled and performed in close coordination with Dr Martins-Favre, as she is in charge of the preparatory radiological reviews and follow-up. Our approach is original in the sense that the radiologist is involved in the treatment phase in order to make localisation and treatment of the targets more precise and performant. 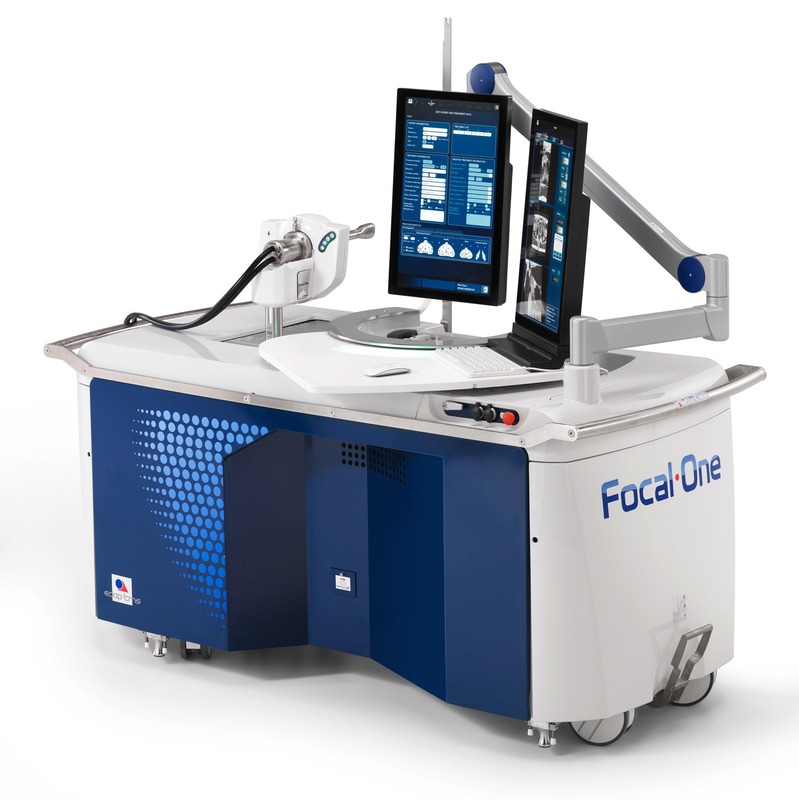 Focal One® is a computer-controlled medical device for the treatment of localised prostate cancer by focused ultrasound (HIFU = High Intensity Focused Ultrasound). The energy is delivered via an endorectal probe. The ultrasound waves travel through the rectal wall and are focused on a part of the prostate. This focusing produces intense heat, resulting in tissue destruction within the target area. The treatment lasts between 30 minutes and 2 hours and can be performed under loco-regional anaesthesia. Focal One® is a non-invasive treatment option that allows for a precise, local treatment in one session, that can be repeated if necessary, with a short hospital stay and few side effects. In the event of incomplete results, the choice of therapeutic options is wide and includes retreatment with Focal One®. a first line option for patients with localised cancer, stage T1-T2 (Gleason 6 or 7, PSA less than 15), according to their age and general condition. a salvage therapy option for patients with local recurrence of prostate cancer initially treated by radiotherapy. 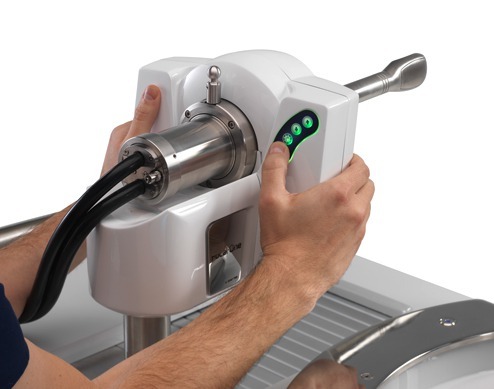 HIFU uses a high intensity convergent ultrasound beam generated by piezoelectric transducers. This focusing of ultrasound waves into one point greatly increases the temperature around the focal point, thus resulting in tumour destruction i.e. pathological biological tissue. The application of HIFU for prostate cancer treatment involves focusing high intensity focused ultrasound to destroy, by heat, prostatic tissue affected by cancer, without damaging surrounding tissue. This technique is non-invasive because it avoids incision, allows loco-regional anaesthesia and limits the characteristic complications of prostate cancer treatment (incontinence or impotence). In 2013 and 2014, two prospective cohort studies demonstrated the long-term (10 years) results of whole gland HIFU as a first-line option and have validated its effectiveness: according to the cancer risk, the specific survival rate at 10 years is between 92 and 99%; survival rate without metastases at 10 years is between 86% and 100%. These results, which are completely comparable to the best radical surgery results, demonstrate that HIFU is an effective first-line treatment option for localised prostate cancer. 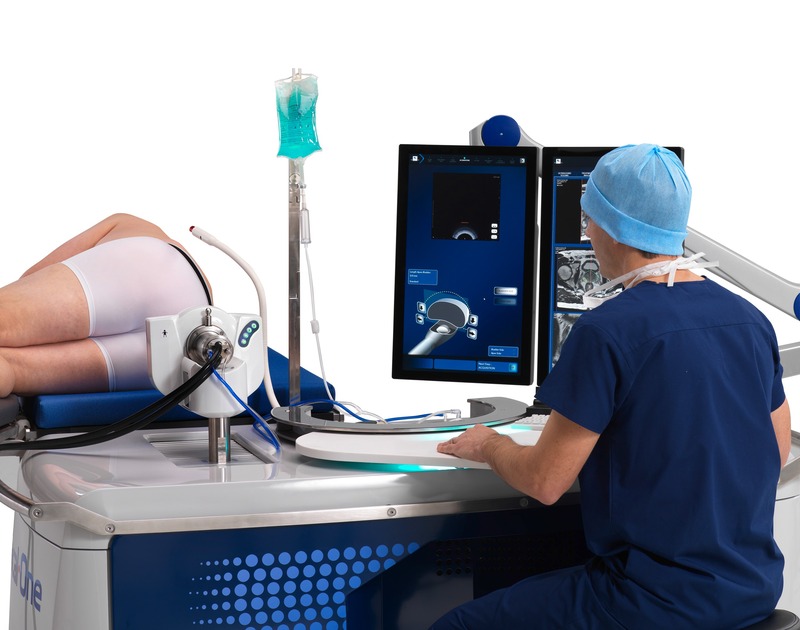 As certain prostatic zones are hard to treat using focalised ultrasounds, we are currently developing alternative treatments such as laser, cryotherapy and electroporation. These methods are performed using a transpireneal approach, allowing to attain anterior targets inside voluminous prostates, much more easily than with focalised ultrasounds.